supply of hot water, and you’ll save on energy costs too. rates starting at $11 a month. 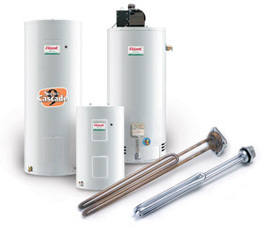 The best rates on the right water heater for your needs. power 1,000 homes for a year! Rinnai Tankless Water Heaters are designed to help you significantly cut your energy usage – and the cost associated with it. Visit the Rinnai website to use their calculator to see just how much a Rinnai Tankless Water Heater can help you save! When you’re selecting a tank, make sure the model you choose is adequate for the needs of your home and your family. Too small, and you might not have enough capacity. Too big, and you’ll be paying for capacity you don’t use. If you decide to upgrade or downgrade your water heater after we have installed it, the installation cost of the replacement unit will be reflected on your North Bay Hydro bill. The column on the left will help you identify the size and venting type you require in a natural gas water heater. North Bay Hydro Services can assist you in determining the appropriate model and venting type for your needs. The North Bay Building Division has been notified recently of a number of instances where replacement water heaters have been installed without consideration of the maximum temperature requirements as outlined in the Ontario Building Code. Under 7.6.5. of the Ontario Building Code, it states the maximum temperature of hot water supplied by fittings to fixtures in a residential occupancy shall not exceed 49C (120F), except for dishwashers and clothes washers. This requirement applies to both new and existing residential properties, and has been in effect since September 2004. Please note that failure to comply with this may result in Orders being placed on properties that are not in compliance. Please also note that any plumbing work is to be carried out by a Plumbing Contractor licensed by the City of North Bay Licensing inquiries may be directed to Licensing at (705) 474-0400, ext. 2510. Thank you for your cooperation in this matter. If you require any additional information please feel free to contact us.